You can win any book on the list below if you’re the first to link to One-Minute Book Reviews after you read this post. To enter, link to this site, then send the link and your mailing address to the e-mail address on the contact page, and tell me which book you’d like. (Please do not leave a comment with the link — e-mail entries only.) You don’t have to link to the review of the book you want or to say anything special; you can link to any post or page, and winners are determined solely by the time of arrival the e-mail. You need to be over 18 and a resident of the U.S. to enter. If you win, I’ll put the book in the mail to you within a week. You can win only one book, but if more than one interests you, you’re welcome to mention an alternate choice in case someone has won the book you want. Winners’ names are not announced on the site. All books are the copies I used to review them, so they’ve been read gently but are in very good condition unless specified. As noted below, some are advance reader’s copies or ARCs (uncorrected proofs with the art for the cover of the hardcover edition on the front). Here are the books you can win. 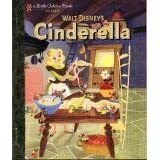 Walt Disney’s Cinderella: A Little Golden Books Classic. Story adapted by Jane Wenner. Illustrated by Retta Scott Worcester. Art from the 1950 movie (with Cinderella in her pre-princess garb on the cover). Hardcover edition. What a Great Kid! Coupon Book: 52 Ways to Tell Kids “You’re Loved.” A tear-out coupon for every week. PerpetualCheck. By Rich Wallace. A short novel about two brothers who face off at a chess tournament. This ARC shows a bit of wear, but a young chess player might enjoy it. See note about ages in review. No! I Don’t Want to Join a Book Club: Diary of a 60th Year. By Virginia Ironside. The hardcover edition of a comic novel recently out in paperback. Take Your Shirt Off and Cry: A Memoir of Near Fame Experiences. By Nancy Balbirer. An actor’s story of the big breaks that got away. This ARC shows wear. My Little Red Book. Edited by Rachel Kauder-Nalebuff. Girls and women remember their first menstrual periods. Not Becoming My Mother: And Other Things She Taught Me Along the Way. By Ruth Reichl. Memories of a difficult other by the editor-in-chief of Gourmet. Vanished Smile: The Mysterious Theft of Mona Lisa. By R. A. Scotti. True crime about a famous art heist. How to Buy a Love of Reading. By Tanya Egan Gibson. A novel about a teenager whose parents hire a novelist to write a book for her. 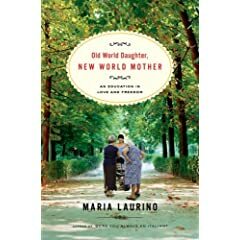 Old World Daughter, New World Mother: An Education in Love and Freedom.By Maria Laurino. An argument for a new vision of feminism by the author of Were You Always an Italian?